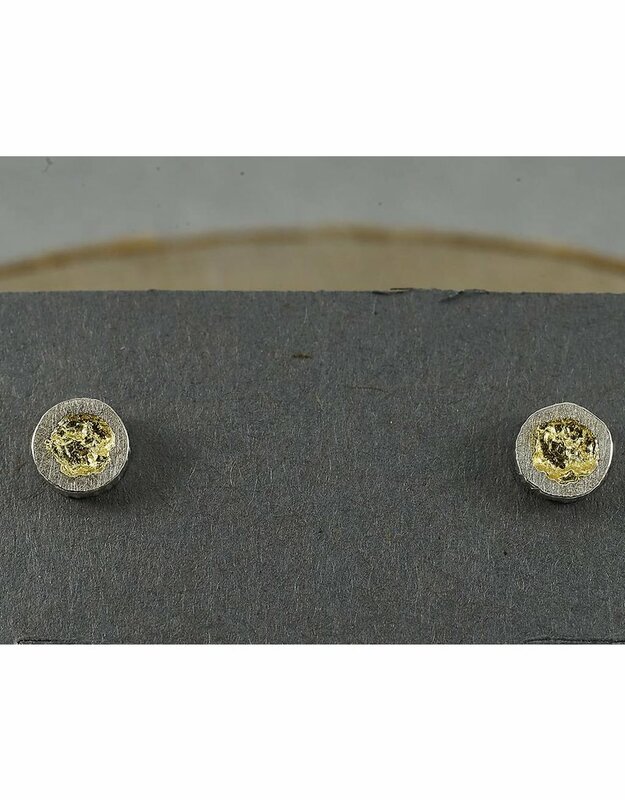 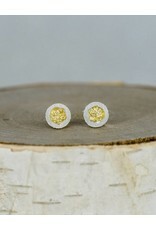 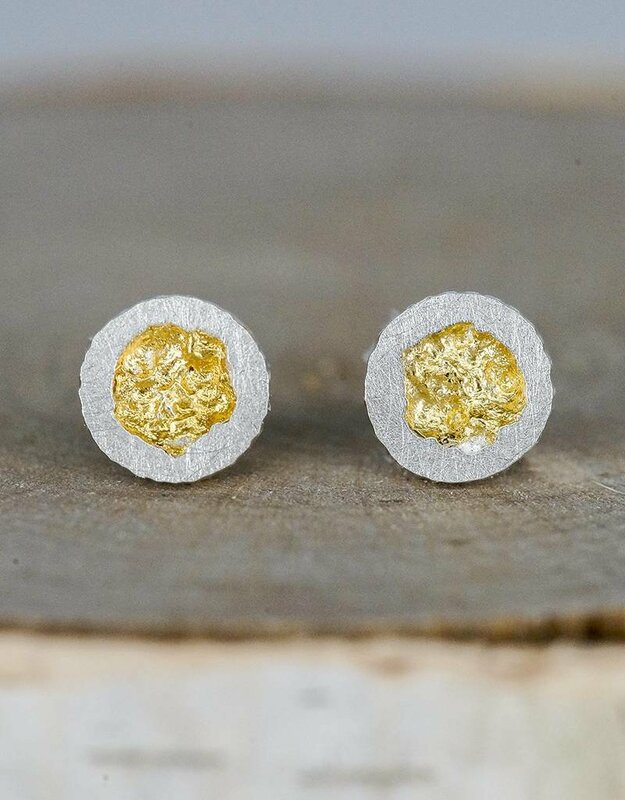 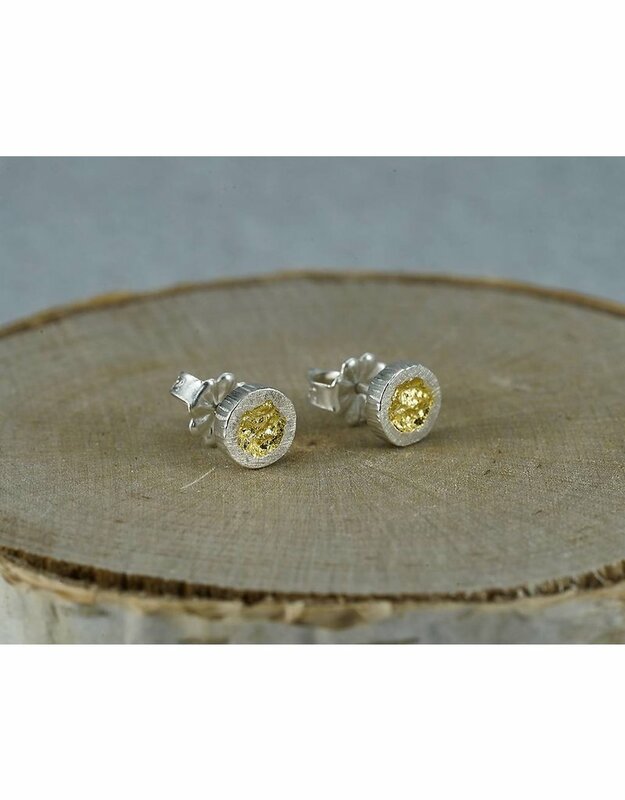 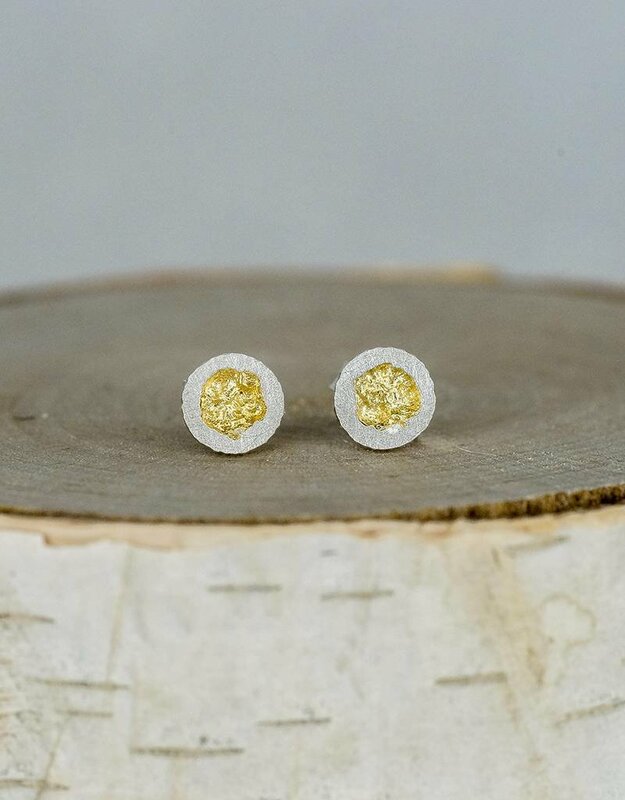 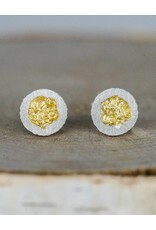 Like little geodes, these tiny stud earrings have recessed areas of sparkling texture. 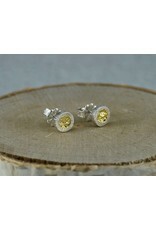 Recycled sterling silver and 23K gold, sterling silver posts and backs. Bright finish, 6mm wide.